This Deadbolt Coupler Lock is designed to fit coupler latches with a span of up to 2 3/8 inches. Rubber coated ends for better grip, easier turning. 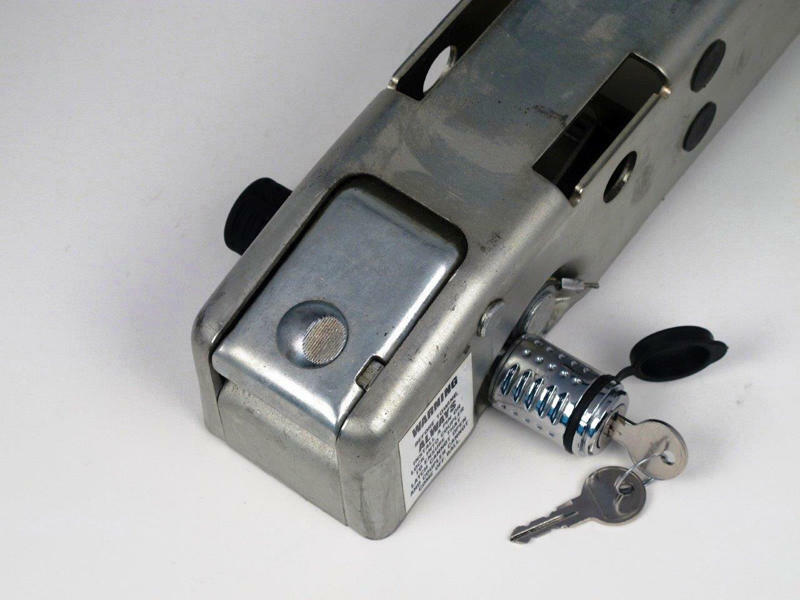 Deadbolt - CT Johnson Enterprises, Inc.
A family business since 1985 - When my father and I started our business back in 1985, little did we know that we would give birth to a whole new product category - towing safety and security! Since then, our company has been responsible for most of the innovations in this category. While our competitors follow with their best efforts, we continue to lead with not only our innovation, but with our world class quality, service and reliability. When you purchase any one of our products, you can take comfort in the fact that it has our 20+ years experience built-in. Innovation - We are not just a marketer of other people's products. We design, develop, produce, and sell our products. To design a product, rather than simply buy someone else's, requires research, thought, sometimes starting over, listening, and, of course, investment. Design isn't just the way something looks, it's also the way something works. 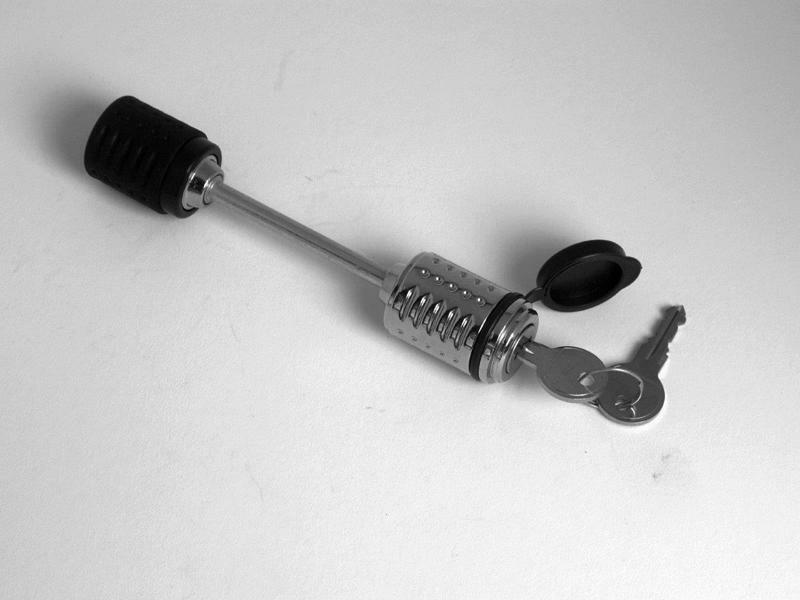 With more that a dozen patents, our products are different...for a reason. Whether it's our All Weather Grips for easier handling, our compact Open Pack peg packaging that takes half the space of traditional clamshell pack, or our time tested screw-and-lock locking action, it's all the result of our desire to bring you creative solutions to you towing needs. Good Product. Good business. - While the vast majority of our products are made in the USA, we always search globally for supplier/partners that can help us deliver the best product and services at the best price. However, when we do, it's always with a commitment to "Good Product. Good Business." That means when you purchase our products, you can be sure that you are not only getting the best product at the best price, but also a product that was made and assembled with consideration for its impact on the environment, the health and well being of the people that produce the product, and the business laws and practices of our suppliers' country or municipality. This close relationship with suppliers has the added benefit of assuring that what we specify is what we receive and ultimately what you count on to keep your towing experience safe, secure, and hassle free.